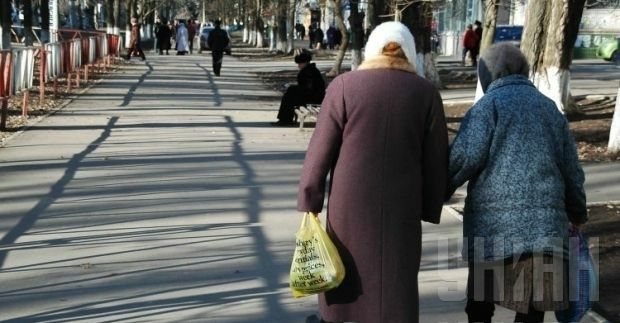 The Ministry of Finance is planning to save around UAH 4.3 billion by increasing the retirement age for men and women to 65 years, the government announced on Thursday. The Ministry of Finance plans to limit pension payments for working pensioners to 90% of the pension amount, but not lower than minimum cost of living for persons who have lost the ability to work. This was stated in the recommendations on changes to the legislation drawn by the Ministry of Finance of Ukraine in order to optimize state budget expenditures. The document also proposes to suspend the indexation of pensions in order to stabilize the Ukrainian economy, with the projected amount of savings being UAH 2.8 billion, according to Ukrainian newspaper ZN.ua. In addition, the Finance Ministry intends to recalculate pension amounts based on percentage of the contributions transferred to the Pension Fund of Ukraine rather than the amount of wages. It is planned to freeze the average wage (income) in Ukraine, out of which contributions are paid and pension are set, at the level of 2014. Such measures are to help restore social justice in terms of reducing the gap between pensions based on the year of retirement, the ministry said. The ministry proposed to resolve the issue of raising the retirement age and pensionable service time used for determining the amount of pension for persons who are entitled to preferential pensions and pensions based on years of service, due to the fact that the pension payment procedure regarding these categories of citizens was not improved during the implementation of the pension reform in 2011. It also suggested to revise the minimum pension in the event of the loss of a breadwinner with regard to the family members of military personnel and law enforcement officers, in terms of the payment of a pension double the minimum cost of living, but only to families of the persons who died defending their homeland. It relates to cancellation of the pensions for family members of military personnel who are not members of ATO and war invalids. Savings in this case are projected at 893.3 million UAH. The document limits new retirees’ rights to receive privileged pensions. It is proposed to reduce the amount of the pension granted under special laws from 70% to 60% of salary. The average reduction in the pensions of civil servants will amount to around UAH 373, and that of a people's deputy to about UAH 1,000. It is also planned to freeze the recalculation of special pensions in the case of wage increases being granted to civil servants and persons classified as such. Real savings may reach UAH 34.4 million. In addition, the Ministry of Finance intends to carry out additional payments to the pension for children of war in the amount and according to the procedure established by the Cabinet of Ministers of Ukraine, and thus expects to save nearly UAH 3.5 billion.